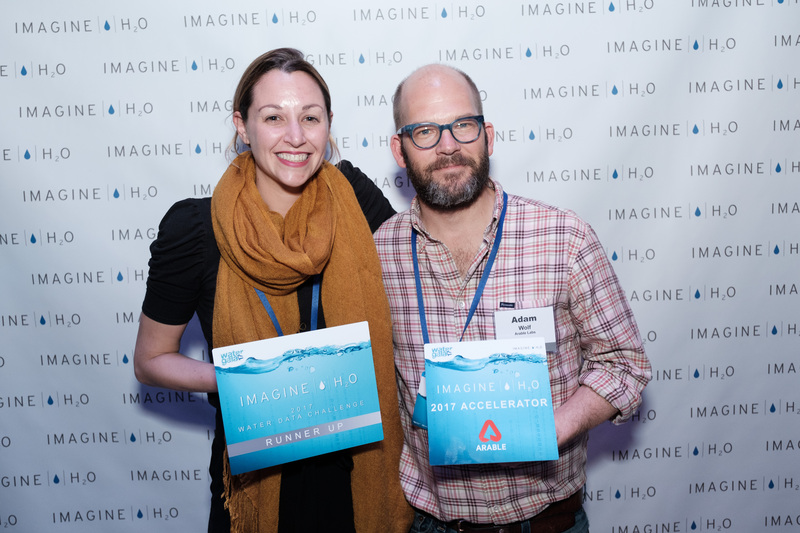 Editor’s Note: Adam Wolf is founder and CEO of Arable and Jess Bollinger is VP of strategic partnerships at the ag sensor and data analytics startup. Here they write about the main risks faced by farmers and other parties in production agriculture, and offer some insight on how digital tools can help alleviate those risks. People fundamentally misdiagnose the opportunity in digital agriculture when they sum it up as “grow more with less.” Sure, at the basic level it’s about helping farmers to track bugs, time irrigation, pick seeds, fertilize, and harvest at the right time to improve their chances of getting a high-yielding crop that year. But agtech is also a risk management tool that’s relevant across the food chain, through the relationships between growers and processors, processors and retailers, retailers and consumers. Risk is about whether that which was promised will be delivered, and who bears that cost when it’s not. From the highest vantage point, agriculture is about supplying safe and nutritious food at an affordable price, preventing politically destabilizing food shortages that can lead to hunger riots and creating a food system that rewards those responsible for feeding a rapidly expanding and urbanizing population. Greg Page, former CEO of Cargill, describes the company’s mission not as an agricultural concern but as a “risk management company,” addressing both price risk and supply chain risk. We’ve come to see the opportunities around digitizing agriculture as the strategic sharing of information between two parties to reduce risk, share risk, offload risk, or otherwise shift the division of costs and benefits in order to create a more functional food system. Problem: 90% of the problems we hear about in the field stem from poor or missed detection of an issue – pest, disease, irrigation — the resultant loss of yield, and the compounding frustration of cost and labor. How data help: It’s easy to overlook how central “situational awareness” is to being able to make good decisions and avoid bad decisions in the field. Having “evidence” about what’s going on in the field sets off powerful human intelligence and pattern recognition: is this block developing differently than the others? Is this yield ahead or behind last year? The growers we work with more often than not have been growing for 20+ years; they can look at a spreadsheet of field conditions and ascertain immediately what is impacting outcomes — they just need an easier way to have that data at their fingertips. Timely data from the field drives recommendations by farm managers, agronomists, and pest advisors to take preventive action; it should not require a full-time job driving 1,000 miles a week to collect. These recommendations might include allocating labor resources or applying certain products at the right time in the season. Problem: Transactional risk manifests in two ways: credibility and variance. In agriculture, processors need to know how much of their contracted fruits or vegetables will arrive, on which day, and whether they will be in a marketable condition. But this is hard to give them with any accuracy and reliability: predicted yields are generally off by 20%-50%, the best guess at a harvest date is the bogus information on a seed package, and the quality grading that takes place at the dock, as well as estimations on post-harvest perishability, are also dicey. How data help: Both parties in the transaction, the grower and the shipper or processor, want the deal to go through: the grower wants to deliver a load of carrots and the processor wants a load of carrots to arrive. Any angst stems from the details: the grower worries they didn’t contract all their vegetables and the processor worries they will be shorted unexpectedly and have to find an alternative source. As a rule, the later you find out you need to sell something, the cheaper it is. Conversely, the more urgently you need to buy something, the more expensive it is. Predictions of harvest timing, yield, and quality grade are powerful tools that join buyers and sellers to make the right contracts and get ahead of supply disruptions that may lead to deviations. We combine data from the field with data on outcomes to provide high fidelity predictions reducing risk for both parties. Problem: I’ve seen charismatic growers strike fear into their audience with a single word: “millennials.” We live in a country where 1%-2% of the population is engaged in agriculture and there are major misconceptions about the motivations and practices of growers. In the US, as in most countries, farmers are both demonized and beatified, both regulated and subsidized, Hamilton versus Jefferson. The challenge many face is how to tell the story of how they grew their produce; the stewardship of their land and resources, most of which is family held and passed down through generations. To some extent these fall into standard certification categories like USDA Organic or GMO-free, but in light of the growing ‘prosumer’ movement, growers and processors need more effective avenues for digital narratives on sustainable water use, reduced pesticides, heirloom varieties, or other characters of the food that speak to the values of their consumers. Without any way to tell their story, farmers feel like they are being hit from all sides without a way to defend themselves. How data help: There is a reason why magazines put numbers on the cover — 7 tips to a better workout! — people are drawn to data as factual evidence. How many people remember hearing that statistic that it takes a gallon of water to make an almond? Who knows if it is even true? If based on rigorous study, what set of assumptions are used? It doesn’t matter because the narrative is already embedded in our consciousness. Data has always been a tool for marketing food (particularly health claims or nutritional content) but data can also be used to distinguish environmental and ethical claims, and provide traceability to the brand that puts these claims on the package. These ultimately can have profound value to the growers who are able to offer data as identity preservation to the crops they produce, distinguishing them from the other commodities. Problem: In all but a select few crops and in a select few countries, there is no lending for agriculture, and there is no social safety net, or insurance if things go wrong. This vicious cycle stems from the lack of data available to the banker or lender about the various potential outcomes in agricultural production. This means that they cannot price the risk and therefore are unwilling to draft a policy or loan. In a few well-developed markets, which are largely subsidized or backstopped by the government, large data sets are used for this actuarial risk pricing. Other locations without a developed insurance market for agriculture do have data sets, such as weather models or satellite imagery, but a lack of sufficient understanding of how these data relate to agricultural production to estimate what is called the basis risk. In the absence of data, insurers are compelled to believe that somewhere in their population is a high-risk pool lurking: a hail prone region, a flood or drought-prone region. How data helps: Field data capture the difference between the model and the reality, providing a direct measure of basis risk. Quantifying this basis risk enables more accurate pricing as well as more accurate awards for claims, avoiding both the financial pain of paying out when unnecessary and the reputational pain of not paying out when crops have failed. It is quite straightforward to calculate the marginal value of accurate data towards reducing basis risk and thus profitability of a policy. But data are also relevant to moral hazard: people who track numbers do better at their jobs. Particularly in emerging markets, coupling insurance with training or support over the season itself lowers the risk of failure, without needing to trigger the policy itself. Problem: This is the big one. While there is the occasional lawsuit over Dicamba drift with a price tag to the order of thousands of dollars, lawsuits over water use and contamination are expensive to litigate and even more expensive to pay out, to the order of tens of millions of dollars. Water quality and usage is mandated by federal, state and basin-level contracts, and as such have multiple legal definitions for demonstrating compliance in an audit. By the same token, multi-tiered compliance and auditing open up new avenues (terrifying to farmers for obvious reasons) of litigation by environmental groups against regulatory agencies that govern water use and contamination (generally nitrate leaching, but also pesticides). This creates an especially pernicious problem, as farmers are put in the position of reporting their activities to a regulatory body that potentially will be compelled to release personally identifiable data to the litigators. Here, a misalignment of incentives leads to misreporting data or even avoiding collecting altogether, despite group-level benefits of avoiding water overdrafts and groundwater contamination. How data help: The privacy and sovereignty of the individual must be protected in order to contemplate any buy-in to a program (such as the Sustainable Groundwater Management Act (SGMA) or various NRCS conservation efforts) that would have benefits for the group. Additionally, participation opens new opportunities that offset the risk. It is easy to by cynical of SGMA and foresee endless litigation around reporting requirements. At the same time, quantification enables land asset derivatives such as water markets, including sales of water surplus arising from demonstrated reductions in water usage. Pesticide reporting requirements carry the sting of punishment, but also the opportunity for market differentiation by selling pesticide-free products to those environmentally conscious consumers that lobbied for those laws in the first place. The data that is used to track reporting for regulations is also an asset attached to the land that gives it greater value! Its important to solve the food production risks & I hope digital age will play a major role in solving them.